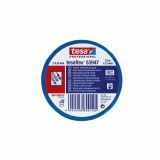 TESA is one of the leading manufacturers of self-adhesive products and system solutions for industry and household packaging, installation, renovation and repair worldwide. With over 100 years of traditions in the production of insulating tapes and innovative product solutions such as protection from insects, dust and air currents, today TESA is a supplier of over 6500 process was carried-optimized design oriented adhesive products for various industries such as electrical and electronics, automotive , printing paper, pharmaceuticals, solutions for protection against counterfeiting solar and wind power and about 300 office products, home and garden. Headquartered in Hamburg, Germany, as well as 4 regional headquarters, 54 branches around the world and more than 4,100 employees, including 2,100 employees stationed in Germany, TESA has an excellent reputation and German's precision repution. The company has over 200 employees in its R&D laboratories in Germany, USA, Japan, Singapore and China, which are constantly developing new self-adhesive components and technology platforms, annually patented about 70 different patents that provide steady growth and competitiveness of the company in the long term. 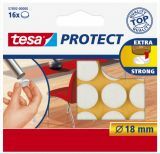 VIKIWAT Ltd. offers various adhesive products with brand TESA. In our store, you can find masking tape, aluminum insulation tape, double-sided adhesive polyurethane tape, PVC insulation tapes and many other products at affordable prices with quick delivery. Paper tape, 50m x 19mm Paper tape 19mm x 50m. Used to mask, cover, seal, pack, fix, and more. Ideal solution for repairs and painting. It should be mounted on clean and non-greasy surfaces. 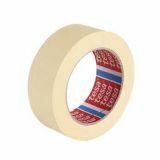 Masking tape 25mmx50m Paper tape 25 mm x 50 m TESA. It is used for masking coating, sealing, packaging, fixing and others. Ideal solution for home renovation and painting. It should be installed on clean and non-greasy surfaces. Safe for use. List Price 4.20лв. VAT Incl. 3.99лв. VAT Incl. 3.78лв. VAT Incl. Paper insulation tape 38mmx50m Paper insulation tape 38 mm x 50 m TESA. Used for masking, sealing, packaging, fixing and others. Ideal solution for home renovation and painting. Be installed on clean and degreased surfaces. Safe for use. 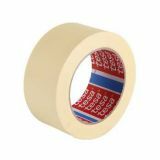 Paper tape 50m x 50mm Masking tape 50 mm x 50 m TESA. Used for masking coating, sealing, packaging, fixing and others. Ideal solution for home renovation and painting. It should be installed on clean and degreased surfaces. Safe for use. List Price 7.25лв. VAT Incl. 6.88лв. VAT Incl. 6.52лв. VAT Incl. Electrical tape, TESA, red, 10m, 15mm, 0.12mm Compact PVC insulating tape, red, 10 meters long and 15 mm wide. Electrical insulation tape, White, 20M, 19MM Electrical PVC tape width 19mm 20 m roll. List Price 2.65лв. VAT Incl. 2.51лв. VAT Incl. Electrical tape, white, 10m, 15mm Compact insulating PVC tape, white with length 10 meters and width 15 millimeters. Electrical insulation tape, blue, 15х0.12mm, 10m Electrical insulation tape with high dielectric strenght, good resistance to abrasion, corrosion and varying weather conditions. Dielectric breakdown voltage 5000 V.
List Price 10.90лв. VAT Incl. 10.35лв. VAT Incl. 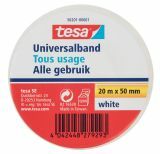 PVC insulation tape TESA-53948 20m, width 19mm, black Electrical PVC tape with width 50mm and length 20 m roll. List Price 8.20лв. VAT Incl. 7.79лв. VAT Incl. 7.38лв. VAT Incl. List Price 4.40лв. VAT Incl. 4.18лв. VAT Incl. 3.96лв. VAT Incl. Double-sided mounting tape, 50m x 12mm, invisible Double-sided mounting tape for glass, windows, mirrors and many more. List Price 2.50лв. VAT Incl. 2.37лв. VAT Incl. Double-sided adhesive polyurethane tape, 50mm, 5m Double-sided adhesive tape 50 mm x 5 m TESA. Universal, for external application. It can be used for different colored surfaces, tiles, wood, glass, refrigerators, etc. It has great strength of adhesion so it can also be used for mouning and installation of mirrors, cable channels, hangers, holders, plaques, posters, refrigerators, panels. Product produced in the European Union. List Price 6.25лв. VAT Incl. 5.93лв. VAT Incl. 5.62лв. VAT Incl. Electrical insulation tape, black, 20m, 19mm Electrical PVC tape width 19mm 20 m roll. List Price 2.99лв. VAT Incl. 2.84лв. VAT Incl. 2.69лв. VAT Incl.